Web interfaces are often more intuitive than command line interfaces. Moreover, they do not require the installation of software on the user’s machine (aside from a web browser!). Eventually StratusLab will provide a unified portal to allow access to all services via a web browser, but this is not yet available. 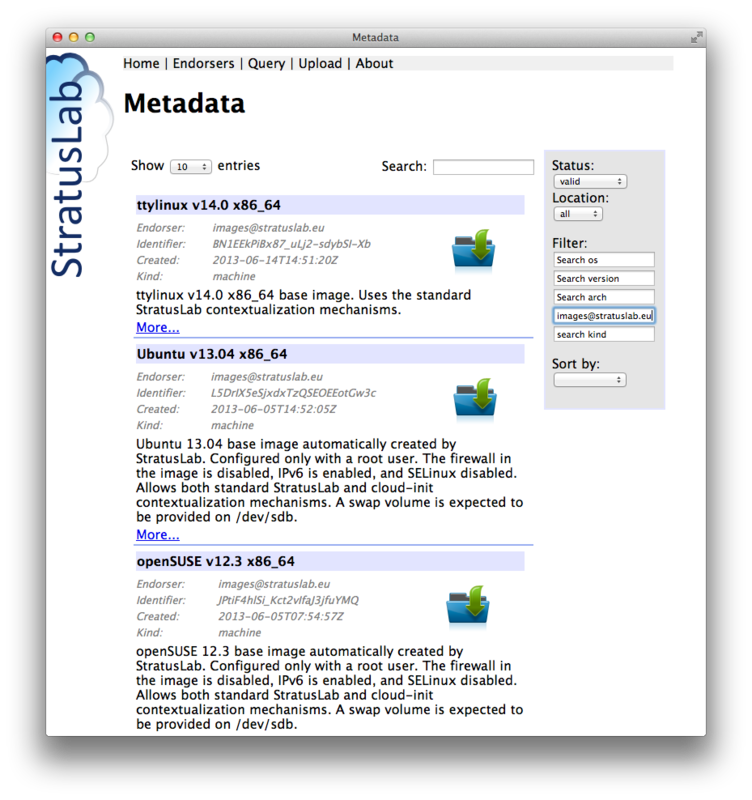 Nevertheless, several of the StratusLab services provide a web interface. These interfaces are essentially a thin veneer over the services’ REST interfaces. For the Marketplace, the primary interface is via a web browser. This interface allows users to search for available images, to access the metadata in several formats (HTML, XML, and JSON), and to upload new metadata entries. The storage service also provides a web browser interface that mirrors the underlying REST interface. This interface allows a users to see the complete list of disks, manage the metadata of the disks, and to mount and dismount them from virtual machines dynamically. The registration service is an optional service that allows users to register for access to a cloud infrastructure and to manage the information associated with their account. If used, the cloud administrator validates the account requests. 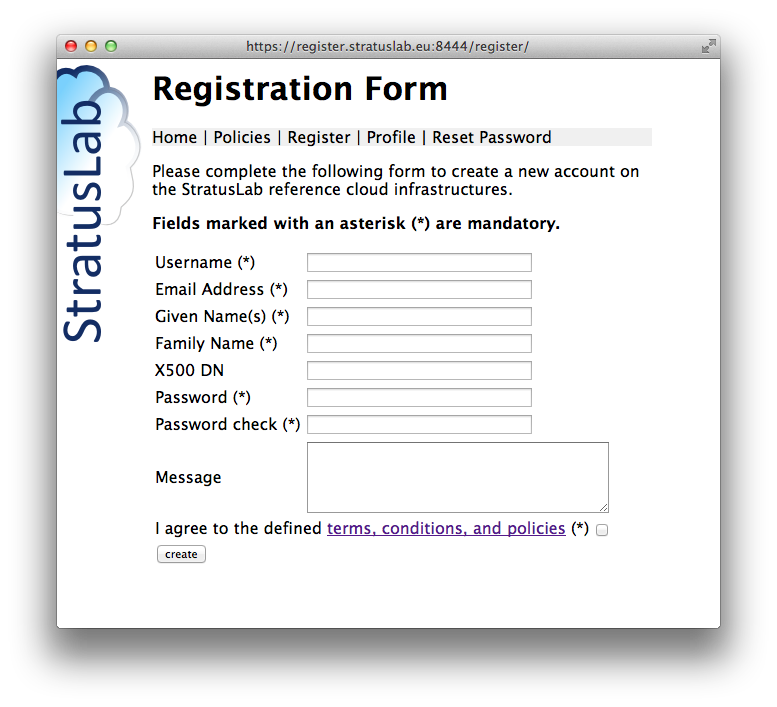 This service is indeed used for the StratusLab reference cloud infrastructure and users may register via this service instance.